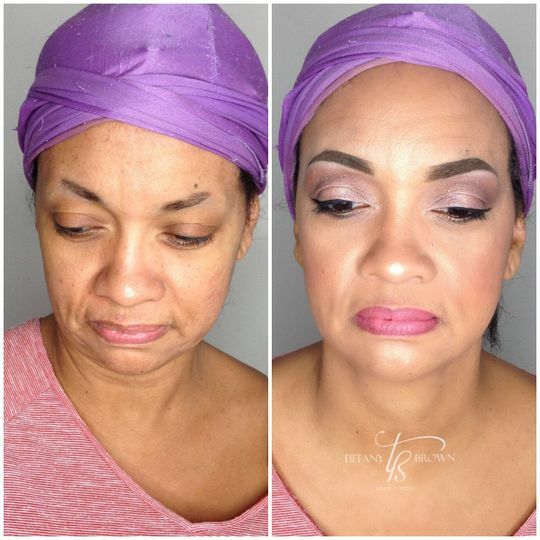 Tiffany Brown, Professional Makeup Artist is a professional makeup artist based in Orlando, Florida. 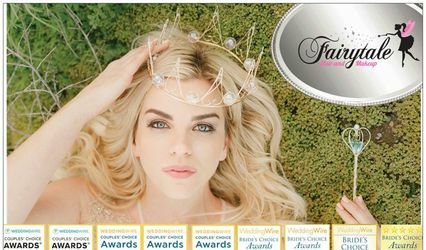 Tiffany Brown has more than eight years of experience doing beauty, bridal, airbrush, editorial, and high fashion makeup. 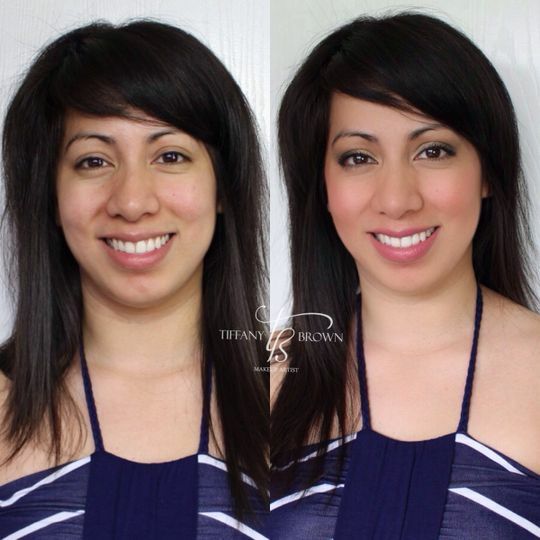 She finds a way to discover the right makeup style for her clients, from simply natural to elaborately dramatic. 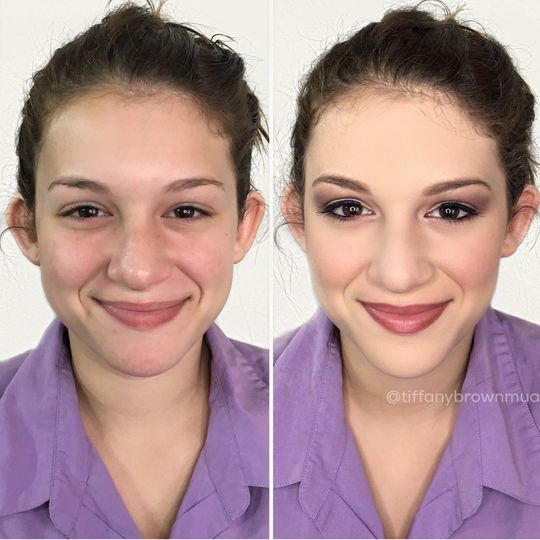 Tiffany’s approach to bridal makeup is to create an ideal, flawless style by enhancing the bride's natural beauty to develop a unique look. She uses a style that is suited for clients, even if it is outside their comfort zone. Some of Tiffany Brown, Professional Makeup Artist’s work has been featured in several magazines. 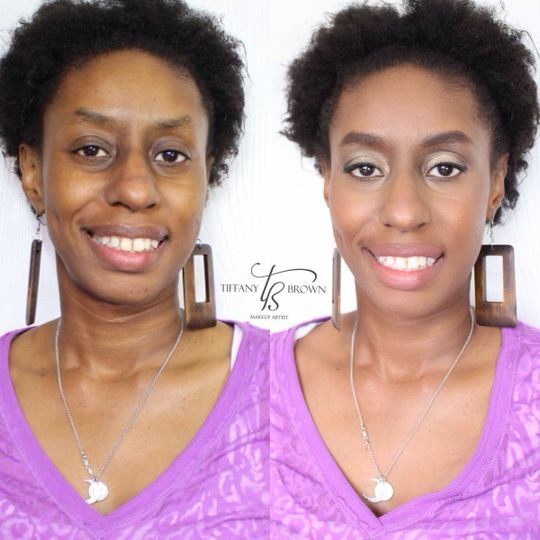 Tiffany Brown does consultations and makeup trials prior to the event to develop the right style with no fear. 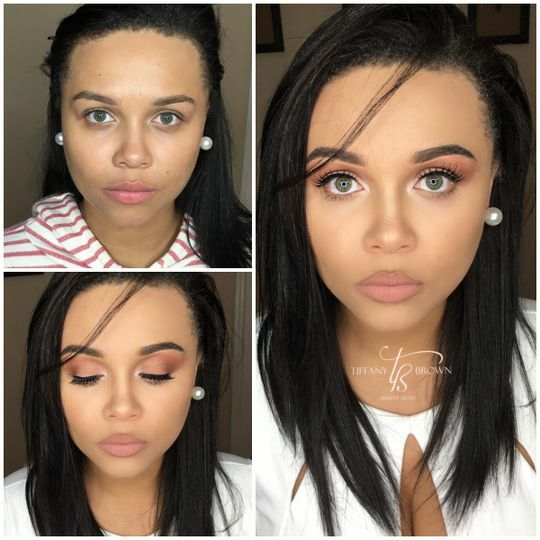 She offers airbrush makeup, eye makeup, wedding party makeup, contour makeup, fake lashes, natural makeup, and tattoo coverage. She also provides group discounts for bridal parties. Tiffany had to be one of the most fun make up artists that I have worked with! She truly listened to my style and the look I was going for and out did herself! I felt so beautiful for the wedding. My oh my! Where do I even begin? I am so blessed to have found Tiffany. She is professional, flexible, and responsible. She is truly an artist. She really listens to her clients wants and needs. She created beautiful for looks for me and my bridesmaids. I asked her to make me look like an enhanced version of myself and she delivered. I have never felt more beautiful in my life. Do yourself the favor and hire this gem. She is truly exceptional! Tiffany did such an amazing job! I didn't want the "typical" bride makeup, I wanted old Hollywood glam, and Tiffany perfectly accommodated this. Everyone commented on how beautiful my makeup was and even my husband said that I had a golden glow. I actually didn't want to take it off at the end of the night, but when I did, I realized there wasn't that much makeup on my face. And it stayed put for 14 hours. 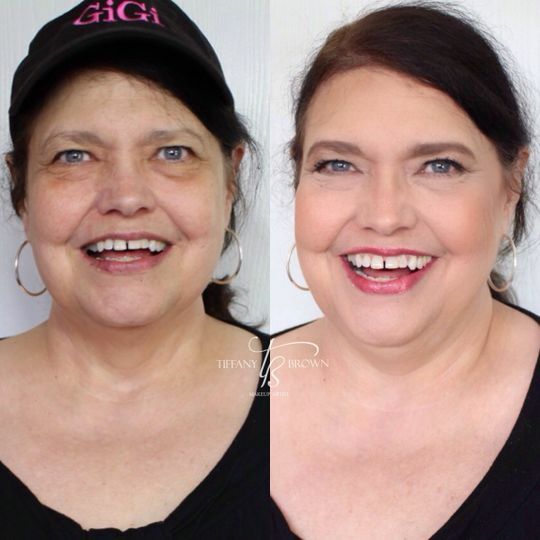 She also did my mother-in-law's makeup and helped out a bit with my grandma and sister-in-law. All of them are much darker than I am so she had the correct foundations and colors to match any woman's skin tone. She was also very pleasant, friendly, flexible, and professional. All in all, a perfect choice for anyone getting their makeup professionally done. 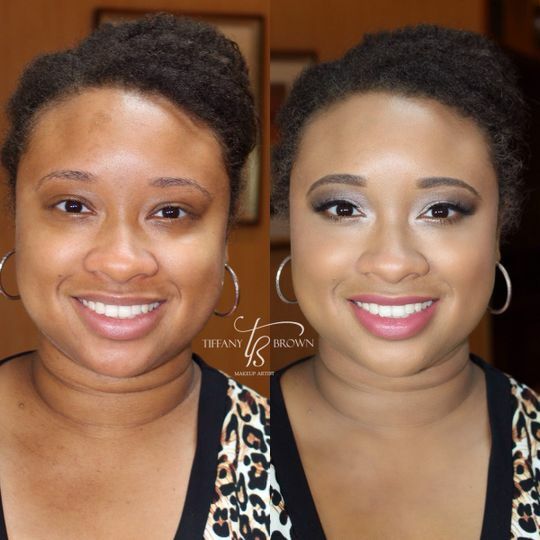 Tiffany Brown was the Makeup Artist for one of my bride&apos;s in New Orleans. 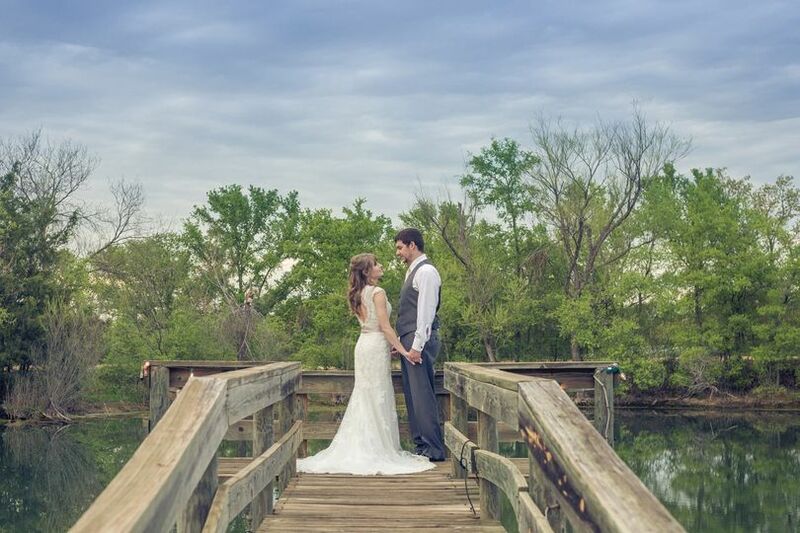 She was very professional and was a pleasure to work even while we where taking pictures of her and the bride. 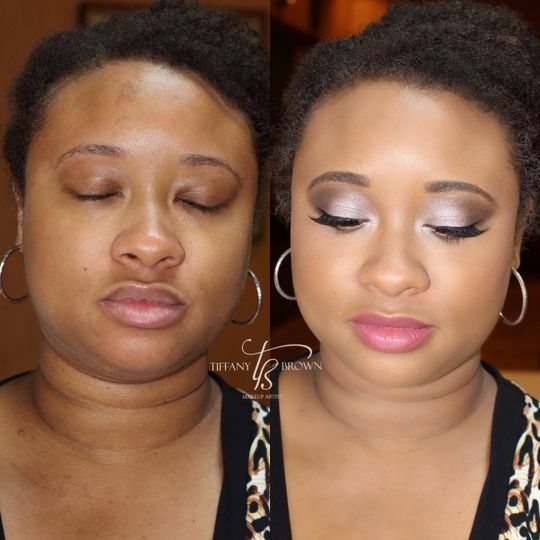 She did an excellent job on the bride&apos;s makeup.